We're finding it hard, fixing on an order. There are two of us, and too much menu to cover, and all of it sounds alluring. Which wouldn't be strange, except that we're eating vegan, and we're in pub, and in London the two of those rarely go hand-in-hand with a surplus of choice. With a few radiant exceptions — The Spread Eagle in Hackney (entirely vegan), Norman's Coach and Horses in Soho (vegetarian, with a large vegan offering) — being plant-based in a pub tends to mean you eat what you're given. 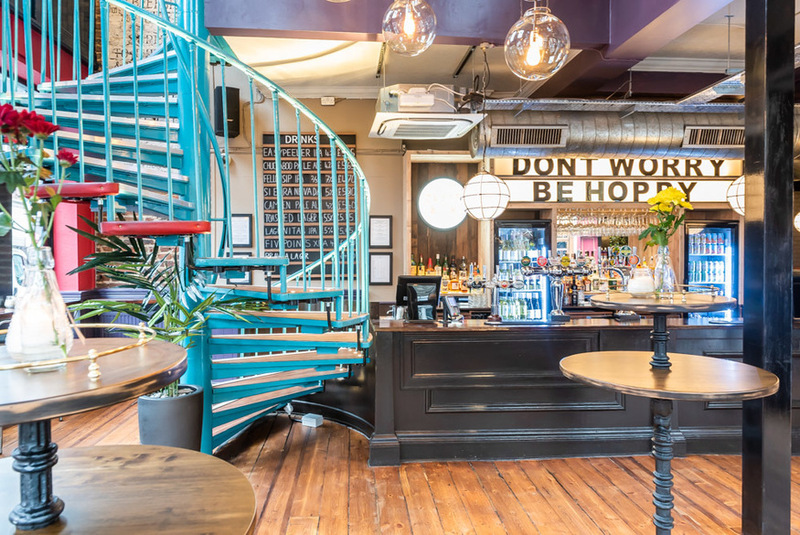 Not so at The Bull Islington, where the recent menu spruce-up's shot it into the rarefied ranks of pubs where the vegan dishes aren't an afterthought. A solid 14 dishes out of 28 on the new menu are vegan, including two desserts (drum roll please) — neither of them sorbet. The dishes will change regularly, but you can expect the proportions of plant-based dishes to be the same. After some brutal narrowing-down of plates we end up with a Beyond Meat burger and the Amok curry, a thick, coconutty splash of colour crammed with sweet potato and fried okra. Both the curry and the burger justify the time we spent poring over the vegan section, the burger nailing it from its ancient grains bun — lending a savoury, deliberate bite; serious burger buns, burger buns for grown-ups — through to the patty's smoky weight. Where the mains are great, the sides are underwhelming. The miso aubergine comes so near to being your go-to after-work bar snack — it's a hefty portion for £3.50, the thick coating of miso promising exactly the hot, umami-heavy stomach lining you want waiting for you at the start of an evening drinking. But the aubergine strips are undercooked and rubbery — tough to cut through and tougher to eat. The dirty fries are better by far, stacked with a vegan blue-cheese style sauce, fried tobacco onions and a heavy tinga dressing — the tinga sweetish and gloopy, turning it into a dish you really need to share between two. 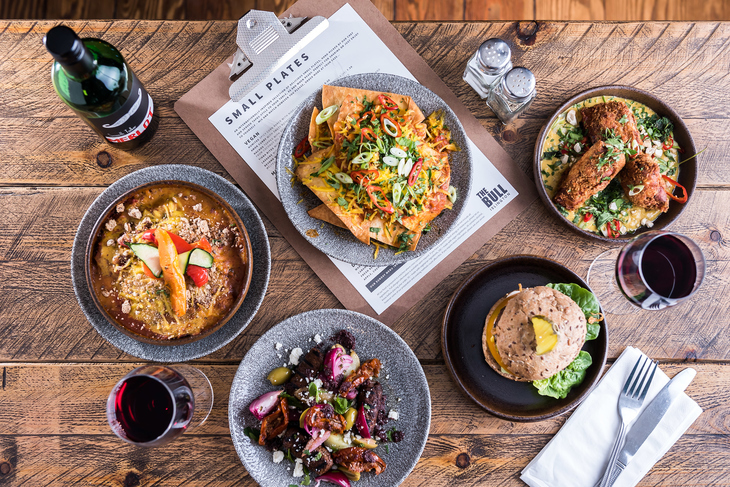 But between the burger and curry, between the decent-value drinks list (including vegan wine) and the sheer, unaccustomed pleasure of hitting a pub with such an abundance of plant-based dishes — The Bull Islington's revamp is doing a stellar job of putting vegans first. The Bull Islington, 100 Upper Street, N1 0NP.